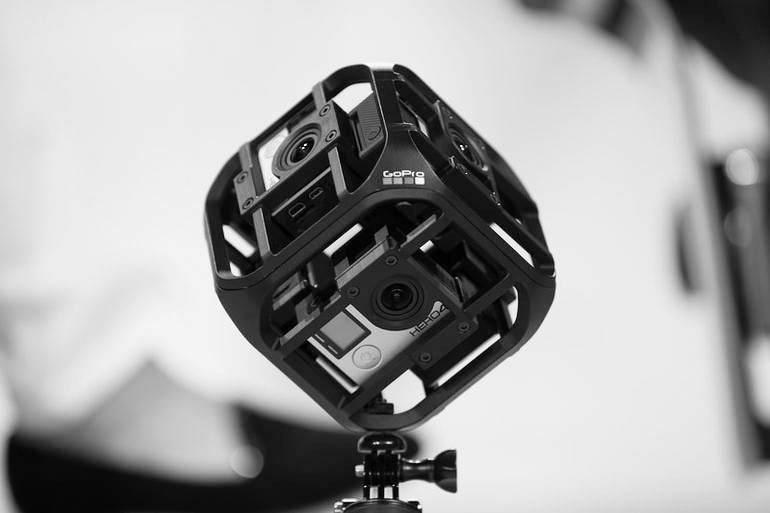 VR and AR have recently been hot topics in video production and end users are seeing more and more 360 degree video appear online thanks to comprehensive editing and streaming support from software companies such as YouTube, Adobe and the like. Streaming that video live is an order of magnitude harder and requires a great amount of hardware to work perfectly correctly for extended periods of time, doing things it was never designed to do. Thankfully, I see this problem being solved in the coming 1-2 years by the introduction of specialized streaming hardware. In the interim however, custom rigs such as the one I designed above have to be used to capture footage before it can be processed and streamed. I plan to use the live-streaming 360 degree video in combination with an Oculus or Vive headset to allow direct control of a robotic system (while not being physically present). This presents more than a few challenges, including the speed of video, the lag time and the delays involved with transformations for the Oculus goggles. In working to address these, expensive and fairly custom hardware has been needed. As stated, I see this being less and less of a problem in the coming years. While reliability of the GoPro cameras has been the main critical path item, now that a mount which includes good cable management has been built, testing will resume. For those who wish to build this yourself, a detailed build page is here.